Enjoy Summerfest 2018 even more when you ride the Ozaukee County Express bus to the Summerfest Mid Gate. Every 15 minutes from 11:30 am to 12:30 am each day, the bus will depart from the Target/Home Depot (Hwy 60) in Grafton. Last trip from Summerfest is at 12:30 a.m. NOTE: No Service will be provided at the Saukville Wal-Mart. All Summerfest Service will start and end at the Grafton Target/Home Depot Lot! Note: No festival, no service on Monday, July 2. PRE-FARE NOW! Save more. Board faster too. Pre-buy your bus fare online and save $1.00. Check it out here. Riders will now pay when they get to the Summerfest grounds. In the past, riders paid on the bus. After paying for your round-trip fare, you will receive a wristband that allows you back on the bus at the end of the night. The Ozaukee County Express does not serve the Wisconsin State Fair or any other festival. 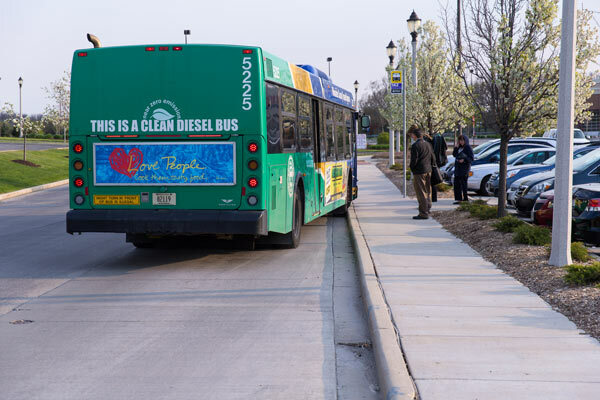 For additional information on this service, or for information regarding bus service to events other than Summerfest, call the Milwaukee County Transit System at 414-344-6711.